Hi, and Welcome to Prescott Gold and Silver, an honest gold buyer. Presently I work by appointment. I have been in business in Prescott since 2010. I’m Greg, the owner, and a long-time resident of Prescott, Arizona. FREE APPRAISALS - WE WILL COME TO YOU! Here is what to expect when you visit Prescott Gold and Silver: You will have my full attention. You will be treated fairly and honestly. As the original Honest Gold Guy I have a personal code of ethics to uphold. You will see me weigh your items on a State Certified Gold Scale. You will watch as I test, and explain the testing of your gold, silver, or platinum jewelry and other items. You're under no obligation to sell your gold, but if you like my appraisal you are welcome to sell, and be paid on the spot. You can expect to be treated with respect, and confidentiality during all buying, or selling transactions with the Prescott Gold and Silver. I can also come to your home for appraisals. Your information is always kept in strict confidence. I often do appraisals for estates of gold, silver, coins, and jewelry. I buy gold, silver, silver coins, gold bangles, earrings, necklaces, bracelets, broken, or unwanted gold, and silver. We also buy scrap gold, gold fillings, gold sweepings, gold beads, broken jewelry, wedding bands, watches, diamond rings, silver flatware, and much more. It does not matter if your items are in good condition, or broken. If it’s gold, silver, or platinum we’ll buy it. Looking to buy some gold coins, silver coins, rings, bracelets or other jewelry? I may have what you’re looking for, on hand. Please call me to buy these pre-owned items at far less than jewelry store prices. I serve the communities of Prescott, Chino Valley, Prescott Valley, Camp Verde, Cottonwood, Surprise, Payson, Wickenburg, Cave Creek, Anthem, Phoenix, Wittman, and Sun City, Az. If you are going to be in or visiting Prescott, just call me for an appointment to sell your gold. Here is a little about me. My Name is Greg Wyatt and I am the owner of Prescott Gold and Silver, and a Prescott resident since 1995. Hi, I’m Greg the owner of Prescott Gold and Silver. Contact me immediately by calling 928-710-2137. We do estate appraisals, estate jewelry appraisals, and appraisals of coin collections. We also buy and sell precious metals, silver and gold coins, and jewelry. Here the FAQ we get about the gold and silver business on a regular basis. As an Honest Gold Guy I like to keep my customers informed about our business. Welcome to the Prescott Gold and Silver Blog where we cover gold buying, selling gold, and precious metals. Are there honest gold buyers? Yes, there are. 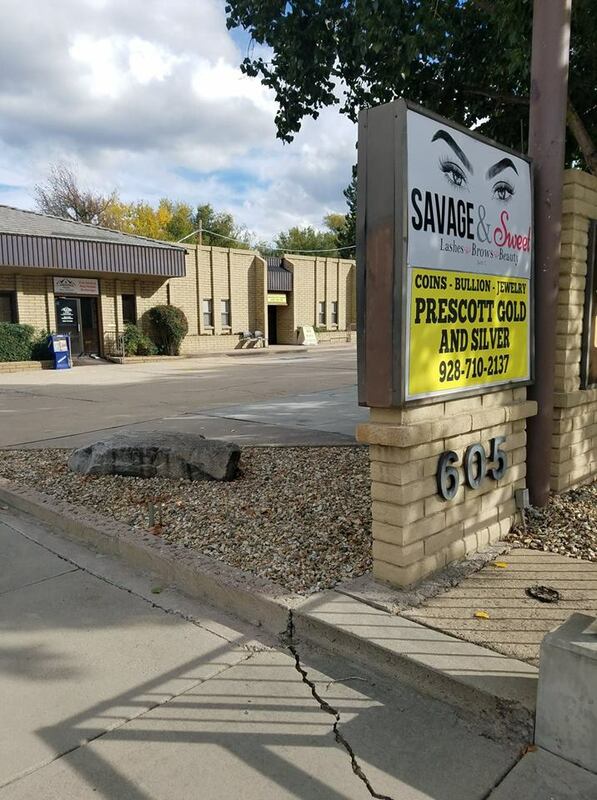 When I first opened for business that was my trade name, without the s.
Welcome to the Prescott Gold and Silver Links Page. Here we have compiled useful sites, on the Gold Business, Honest Gold Buyers, small business, and more. If you need to sell gold jewelry you have come to the right place. Prescott Gold and Silver buys gold jewelry, scrap gold, gold watches, class rings, gold nuggets, silver and gold coins. If you need to sell silver coins, silver jewelry, or silver flatware you have come to the right place as Prescott Gold and Silver buys silver coins, silver jewelry, and silver flatware. Why us? Why should you sell your gold, silver, platinum jewelry, coins, and silverware to Prescott Gold and Silver? If you are looking for a gold buyer in Prescott I want to earn your business. Please, carefully read this Site Disclaimer for Prescott Gold and Silver and the prescottgoldandsilver.com web site. Information on this site is for entertainment and informational purposes only.